Hey, there are neat new toys to play with! In brief: mobile chat apps are progressing and ProtonMail looks nice for secure email. I put a TL;DR down there for you. I write about this stuff occasionally. Since my last missive, Threema has released Threema Web for the Android platform…but not yet for iOS or Windows Phone.1 Threema Web promises to offer everything I like about Threema on my phone combined with the convenience of using it on a desktop or laptop computer, where I can type with all 10 fingers. At least I hope so. They haven’t rolled it out for iOS devices yet, and I don’t have an Android device, so I’m not sure. But I’m betting Threema Web continues to allow you to be more anonymous on the internet than Signal, which requires registration with a phone number and allows anyone with Signal and knowledge of your phone number to contact you that way. Threema lets you choose whether to be contactable that way, which I highly appreciate. Nevertheless, I have started seeing more of my contacts showing up on Signal than in the past. Some of them are undoubtedly using it because of my nagging, but apparently not all of them. For example, I see Airport Liner (our favorite shuttle service from Regensburg to Munich Airport) is using Signal now, too. Probably most people don’t care too much or simply trust WhatsApp not to sell them out to its corporate parent (Facebook), now that WhatsApp offers end-to-end encryption2 based on the same technology as Signal. But I still don’t trust them. Another thing I liked better about Threema vs. Signal from the beginning was the ability to encrypt short audio clips and send them as messages. Threema’s had that for a long time, but Signal must have gotten it in a recent update (to iOS). That feature is extremely useful when your hands are full or you’re at a stoplight and don’t have time to type out what you could say more quickly. And of course, Signal does secure phone calls — IIRC, the app grew out of the fusion of a secure audio app (RedPhone) and secure text messaging app (TextSecure). I don’t use it for that very much, but it does work. the raison d’être for the likes of Gmail, Hotmail, Yahoo! Mail: ad revenue. If their machines can’t read your email, they can’t sell you. I followed the mailpile project for a couple years, even playing with it at home on a Raspberry Pi or my Linux desktop machines, but it appears to progress only haltingly at best, felt clunky to use, and presumes that you (eventually, when they perfect their product) want your mail to be on your local devices only — like a RasPi or a memory stick you keep on your keychain. That’s not really what I want; I want mail on a server somewhere6 that is only readable for the intended recipients. They’re really playing up the Swissness. I was pretty skeptical at first. Webmail can’t be as secure as an offline private key, because the webserver has to have your private key in order to decrypt messages intended only for you, thus defeating the purpose, right? That’s true…unless there is another layer of encryption on top of that private key preventing its misuse. 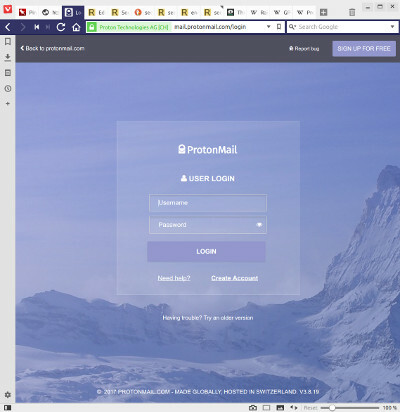 Wikipedia explains it: yes, the server behind ProtonMail has the private key needed to decrypt messages encrypted for you, but that private key is symmetrically8 encrypted with your login password, and decrypted on the brower-side to display secured message content only in the browser. So: ProtonMail cannot use your private key (even though it lives on their servers) because your login password prevents that. It’s the first web-based email service with public key encrpytion that sounds promising to me, because it actively promotes its inability to decrypt your email upon demand (of anyone — not even you). Pick a password, confirm it, give a hint if you like. Here is what a non-ProtonMail recipient sees when you send an encrypted message. Another nice feature, particularly to help wean you off of your current email provider, is that you can ask ProtonMail to send you a daily reminder at your non-ProtonMail address if there are unread messages in your ProtonMail inbox. Slick! Suggest some products to me based on that, Gmail! That’s in-line PGP, and it’s probably fine for text messages. All the email programs that support PGP do this kind of en- and decryption for you automatically. Recipient sees the clear text without any extra effort. But it gets clunky when a message has more than one part to be encrypted. This is common when there is a plain-text version of the email message and a fancy HTML version of the email message wrapped up in one email, or any attachments. PGP/MIME is clearly the right way to go for that use case, but ProtonMail does not support it yet — at least not for in-bound messages. 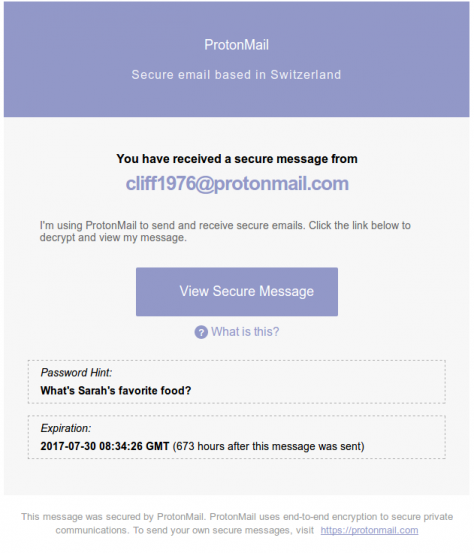 It also does not yet support storing and using the public keys of non-ProtonMail users. This means you can’t send an encrypted email to someone who is not a ProtonMail user. At most, you can notify them that an encrypted message is waiting to be retrieved (see above). I wonder if that will ever change; it would be convenient for users already comfortable with the likes of PGP, but it could discourage their free customers from ever coughing up for a paid tier of service. I suppose that’s a feature they could include on the paid tier: paying customers are already paying and don’t need further motivation to use the service. 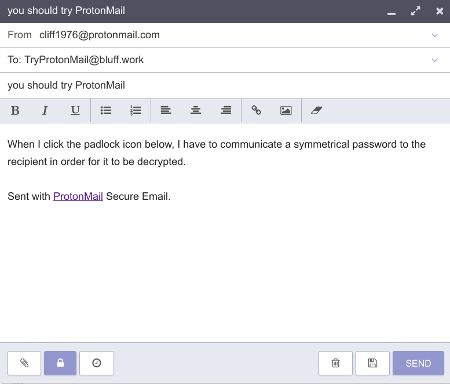 try Threema and Signal and their desktop app options for chatting, and consider ProtonMail for securing your email messaging. The techiest among us will get by just fine with PGP encryption layered on top of conventional electronic messaging, but maybe these apps are a lower barrier to entry for friends, family, and colleagues who care about the principles but can’t invest in the learning curve associated with old-school public key encryption. Who else is reading my messages to you? A lot has changed, of course. Facebook hold-outs are the exception now, not the norm. Just so we’re clear: I’m not judging anyone. 1 It’s got broad appeal and usefulness for a lot of people, and I miss out on a fair amount of social info by staying away from it. My Facebook abstinence may seem on the surface like just one step down the kooky road to technology paranoia. I’m interested in the technology of communication primarily, but secondarily uncertain about the implications of big companies and their privacy policies. And the recent purchase of WhatsApp by Facebook doesn’t leave me with a warm fuzzy feeling of trust that you and I are the only ones reading the messages we exchange. Who benefits when their machines read my stuff? They suggest new professional contacts or funny tweeters to follow or car rental agencies for that next vacation we’re thinking about. To a rather limited extent, I guess that’s a perk for me. More often though, when I want more, I seek it out myself. I tend to get annoyed when a real, live person pigeon-holes me directly — I find such behavior by a machine intensely disturbing. But I think they stand to gain a lot a lot more than I do. Maybe that’s the cost of using those otherwise-free services. I read somewhere that when a profit-oriented company offers you a free product or service, YOU are the commodity being exchanged. At least Clippy gave you the option to tell him to take a hike. Buying a license to use that software resolves any qualms I might have about that. 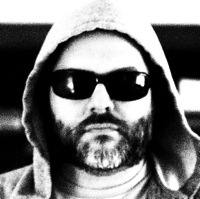 I’m not turning into a recluse or a vigilante or an rms-accolyte (despite my choice of selfie above and the recent beard). But I am considering my choices of technology providers perhaps more carefully than I or others have in the past. Using Threema instead of WhatsApp is part of that. Threema keeps your short messages encrypted all the way from your mobile device (Android or iOS) to the recipient. It’s a tiny company making smart choices about the technology they use to ensure that. They can’t turn over your message contents to any other party (governmental or hacker), because they can’t. Even though the messages temporarily reside on of their servers while awaiting retrieval by the recipient, they are in an encrypted state, and only the recipient can decrypt them. Yeah, but what about email? Another part of that security-conscious electronic communication is using email in an encrypted way. That’s much harder to implement: effective security is not simple, and vice versa. 4 While you can use Threema to send short text messages or videos or pictures from your phone (or iPod touch, though I haven’t tried that yet) à la WhatsApp, you can’t use it to send just any file securely. Encrypted email is a really good choice for that. If Facetime or Skype starts parsing my phone calls with my parents (is that even possible? Let’s ask Siri. ), you can be sure I’ll find another way. I don’t use the other social networking services much. I peek in there every now and then to see if I’m missing something. So far, so good. Those are intended for public consumption, but the content is supplied by the end user. 5 We’re conscientious about not revealing more about ourselves via those services than our comfort levels allow. So extra layers of technical security seem pretty useless there. Does this mean I’m not going to use WhatsApp anymore? Not really. It means I’m going to prefer other means — Threema for now, but if something better comes along, I’d consider that, too — but I’m not ready to cut myself off from the majority of WhatsApp users. The bottom line is that this topic doesn’t stick in everyone’s craw, but that doesn’t mean I want to lose touch with them. If you have my mobile phone number, you can still reach me on WhatsApp, but be prepared for me to suggest we keep it just between you and me. Am I way off-base here? Idealistic beyond any realistic expectation? How have you managed to reconcile your own sense of privacy with the desire to stay in touch with friends and family? I would love to hear another perspective. Let’s chat. Right here, out in the open. Posted on February 23rd, 2014 July 2nd, 2017 Author cliff1976Categories UncategorizedTags email, geeky stuff, privacy, secure messaging, threema, whatsapp5 Comments on Who else is reading my messages to you?